Last week, we began the sordid tale of the First Opium War, in which England pushed opium produced in India onto China to balance its trade deficit with that country. Today, we continue with the rest of the story. The Second Opium War was not long in following the first. The Chinese were careful not to directly assault the Europeans and their ships in the trade ports, and they respected the British border at Hong Kong. But they tried to throttle the Europeans by punishing any Chinese citizens who conducted business with them. 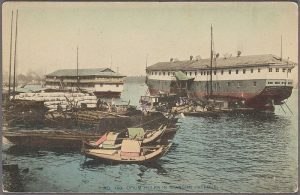 The British developed the bad habit of allowing Chinese ships that were doing business with them to re-flag their ships under British registry so that the Chinese government would leave them unmolested. This practice of liberally allowing foreigners to re-flag their ships under another nation’s registry almost always leads to trouble. In 1856 the British-flagged, Chinese-crewed ship, Arrow, was seized by the Chinese in Canton. It had been engaged in piracy. The British registration had expired, but the Governor of Hong Kong reacted by bombarding the port of Canton and demanding the release of the crew and the ship. The Chinese caved in and released the crew. The French decided to join the British in demanding not only Chinese adherence to the treaty of Nanking, but further privileges, as well. The Chinese still refused to allow foreign embassies to be set up in Peking and played the “delaying game.” They agreed to terms, but would then refuse to implement the terms. In 1859, a small British naval force attempted to take Tientsin. They discovered that it was, indeed, possible to underestimate the Chinese military, and they were repulsed by efficient Chinese artillerymen. The US Navy had a squadron in the area, and they assisted the British in their withdrawal. In a rare moment of 19th century French and British cooperation, a force of 11,200 British soldiers and marines and 6,900 French soldiers joined together in Hong Kong. Although vastly outnumbered, this joint force was able to progress toward Peking with little trouble. As they approached Peking, the Chinese requested a peace parley and a truce. The British sent a negotiating team to Peking, but the Chinese government arrested and tortured them, killing about half of them. The joint expedition then engaged and defeated 32,000 brave but poorly armed Chinese troops and prepared for an assault on the emperor’s palace in Peking. The Chinese government had run out of options. If they attempted a retreat from Peking, they likely would have been deposed by other Chinese factions. As a result, the Chinese agreed to all demands. Ten more trade ports were opened to European ships. Foreigners, including Catholic and Protestant missionaries, were granted travel privileges in all of China. Opium was legalized and would be regulated by Chinese customs officials with European observers allowed in Chinese customs facilities. The Kowloon area across the straits from Hong Kong were ceded to Great Britain. The Russians took advantage of the Chinese disarray after their defeat at Peking and ceased the northern Chinese maritime areas, including Sakhalin Island. 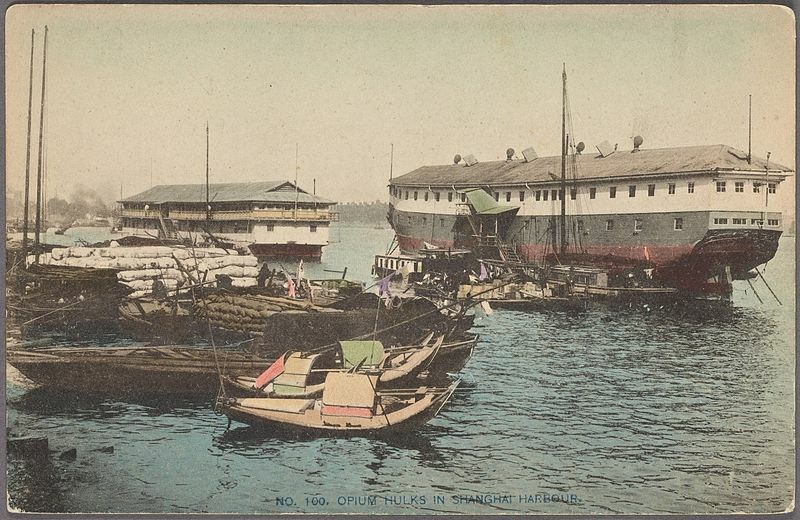 The British stopped their opium trade in China in 1918, but by then, opium production had taken root in China, and the opium drug lords became completely indigenous and independent of foreign sources. The effects of the use of opium in China are difficult to calculate, but, in my opinion, it had a devastating result on the economy and on the government. Drug money was a sizable force for corruption in China, and that epidemic of government corruption left China in political and social turmoil for over a century. In 1928, when heroine was banned in western nations, Chinese drug lords set up their own production facilities and expanded heroine distribution throughout China, Korea, and parts of southeast Asia. The Chinese drug cartels had immense wealth and power and political groups allied with them to gain power. The nation of Japan never would have been able to invade Manchuria and capture so much of China in the 20th century had China not been in a state of chaos. Opium was a prime force in the creation of that chaos. With them, the Japanese brought a new level of human misery to China. 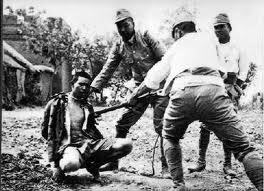 Approximately 20,000,000 Chinese people died as a consequence of the ruthless Japanese occupation. 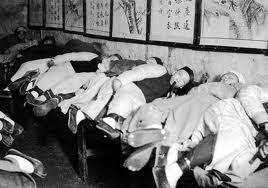 The use of opium in China continued until the communist government took over all of mainland China in 1949. I have never been a fan of the Chinese Communist junta, but I must give them credit for finally outlawing opium and heroin in China. European traders could not have foreseen the long-term effects of opium sales in China. But in my view, China has not yet fully recovered from the impact of opium and heroin use there prior to 1949. When I look south from the United States to Mexico, I see a political situation that resembles China in the 1920s, and I wonder what the outcome will be. What are your questions on the Opium Wars or your speculations about the future of Mexico in light of history? Thank you for such a readable account. Best wishes. I had 16 years of Catholic Private Education….I loved history. And yet even the Catholic Schools did not teach this history…and there is little question that what occurred in the Opium Wars, is having a devastating effect on our country, and the world. Fantastic 2 part history lesson.